The Bottom Line: U.S. Gov. To Attack The States? U.S. Gov. To Attack The States? 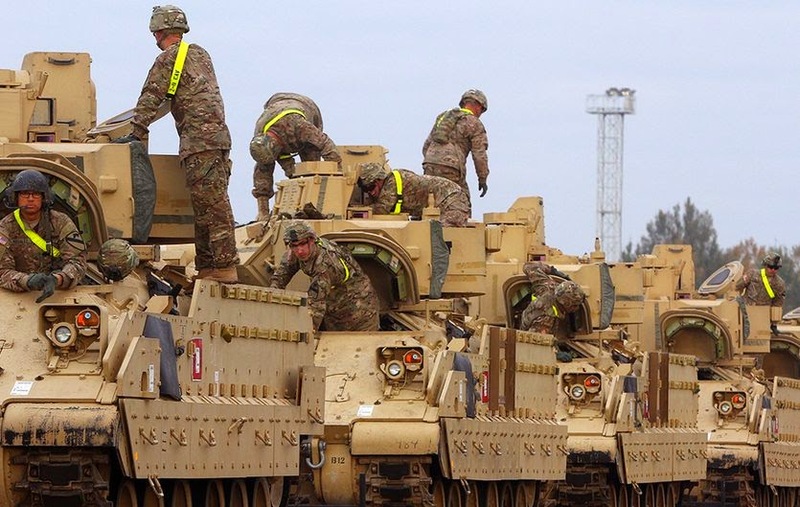 Is Jade Helm 1 5 the end of freedom, or the beginning of defense? Texas is identified by Operation Jade Helm 1 5 as “HOSTILE TERRITORY” I can only wonder why? Could it be because the federal government is hostile toward the people? Naw! If it is true, that the U.S. Military is just training to defend the country then why is JH 1 5 shrouded in so much mystery? Is the pentagon trying to keep it a secret from the enemy? And just who is the enemy? Obama says we are not a war with Islam. Then - who are we at war with Mr. Obama? Well I can think of two other possibilities Russia and China. But if that is the case, don’t you think they both know about JH 1 5? The Intel is being kept ‘not from Russia, China’ or ‘even ISIS’, but it’s being kept from the ‘American people’, why? Then ‘is the U.S. government at war with its own people??? Texas Senator Ted Cruz is the latest to demand answers from the Pentagon about the massive secret Jade Helm 15, and Kentucky Senator Rand Paul is not far behind. 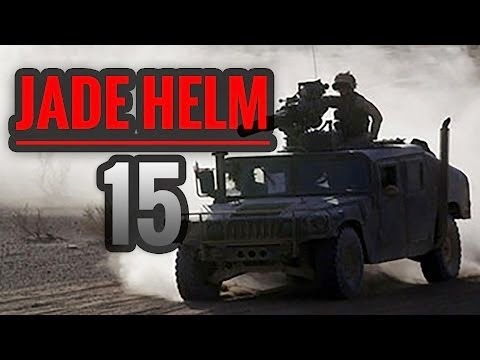 Last week, it was reported that Texas Governor Greg Abbott had stepped up to the plate and positioned the Texas National Guard to keep an eye on those that are involved in Jade Helm 15. State militias were also put on high alert to defend itself against the U.S. military if necessary. "It is important that Texans know that their safety, constitutional rights, private property rights and civil liberties will not be infringed," said Governor Abbott. "I have a great deal of faith and confidence in Governor Abbott," Cruz told Bloomberg at the South Carolina Republican Party's annual convention. "He is a long-time friend and mentor of mine. You know, I understand a lot of the concerns raised by a lot of citizens about Jade Helm. It's a question I'm getting a lot. And I think part of the reason is we have seen, for six years, a federal government disrespecting the liberty of the citizens. That produces fear. When you see a government that is attacking our free speech rights, or religious liberty rights, or Second Amendment rights," Cruz continued, "that produces distrust." "My office has reached out to the Pentagon to inquire about this exercise," Cruz added. "We are assured it is a military training exercise. I have no reason to doubt those assurances, but I understand the reason for concern and uncertainty, because when the federal government has not demonstrated itself to be trustworthy in this administration, the natural consequence is that many citizens don't trust what it is saying." You know I've gotten a few questions on it on the road, and I really don't—I'm not sure about exactly what is going on with that. We'll look at that also. THE BOTTOM LINE: The real question here is this: under what circumstances should federal troops conduct military operations, or even training against American citizens on American soil? Is this scenario likely enough that the U.S. military prepare for such operations, or should we worry that preparation will inevitably lead to the real action? Note the part about American soil, because American supporters of Al Qaeda are already being sought out and killed on foreign soil. Laws like the Insurrection Act and Posse Comitatus are designed to tightly restrict using the military against American people. But if there were actually a rebellion, I highly doubt that Obama would stand on legalities. Lincoln is remembered for winning the Civil War, not suspending habeas corpus. Several troubling things come to mind here: One is the secrecy that I mentioned at the beginning of this article, another is that, the pentagon has said “this kind of training cannot be accomplished any other way”... Come on, I didn’t just fall off the back of the troop truck here. I guess they expect us to believe that our military has never had combat training in a country or urban setting before. Well…I’m here to tell you, that is just falderal. The military has been building and attacking sets that would rival Hollywood sets on military installations all over this country since before the First World War. I know, I trained in them. No…that is not Medina Saudi Arabia in the picture it is a mock up set at Fort Irwin. I took desert training at Fort Irwin Mojavi Ca in 1960. Let me look you straight in the eyes, if this is really just training, why the lies? Why the mystery? 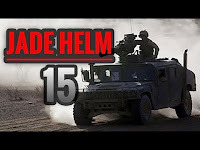 Folks, Jade Helm 1 5 is either just the beginning of defensive training as the pentagon says, ‘wink, wink’, or…it is the beginning of the end of freedom. Tell you what...take a coin out of your pocket or purse, and call heads just training, and call tails war on Americans, then flip it into the air and when it lands on the floor, take a look at your future. Is that the way you want to live my friend? What happened to transparency Obama…? Are All So-Called Christian Colleges Now Islamic?